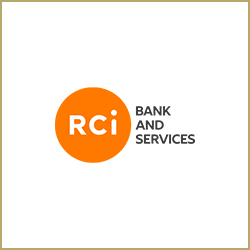 Advising RCI Banque (Renault Grup) on legal framework of factoring activity in Serbia. Acting as Serbian law legal adviser to EBRD in relation to a loan to Unicredit Bank Srbija a.d. Beograd to be on-lent by UniCredit Bank Serbia to private individuals in Serbia. Acting as Serbian law legal adviser to EBRD in relation to a loan to ProCredit Bank AD Beograd. Acting as legal adviser to EBRD in relation to a €30 million senior term loan to Banca Intesa AD Beograd to be on-lent for residential housing purposes. Special Counsel to EBRD and IFC in relation to the sale of their shareholding in Cacanska banka through privatisation, jointly with Republic of Serbia. Special counsel to EBRD in relation to representation in pre-bankruptcy and bankruptcy procedure in accordance with the pre-packed reorganisation plan pending before the Commercial Court in Niš against Nissal from Niš (Serbia). Advising EBRD on a framework facility (WeBSEFF II) in an aggregate amount of up to EUR 90 million which would be available to certain participating financial institutions, including banks and leasing companies, in Albania, Bosnia and Herzegovina, Croatia, FYR Macedonia, Montenegro and Serbia, including Kosovo. Western Balkans Sustainable Energy Credit Line Facility II (WeBSEFF II) is an investment facility established by the EBRD to provide debt financing for energy efficiency projects and small renewable energy projects implemented by private companies, Energy Service Companies (ESCOs) and municipal entities in the Western Balkans. Legal advisers to EBRD on matters of English and Serbian law in relation to €5 million loan to Banca Intesa A.D. Beograd, Serbia under the programme Women in Business in the Western Balkans. We were also acting, under the same programme, as legal advisers to EBRD on matters of English law in relation €2 million loan to UniCredit Bank A.D. Banja Luka (Bosnia), loan to Ohridska Banka in Skopje (Macedonia) and a loan to TEB Sh.A. in Kosovo. Serbian legal advisers to EBRD on €15 million loan to Intesa Leasing d.o.o., a subsidiary of Banca Intesa a.d. Beograd, the largest bank in Serbia. Serbian legal adviser to EBRD on a senior loan to Sogelease Srbija d.o.o Beograd, a subsidiary of Societe Generale Bank Serbia. Legal adviser to EBRD in relation to the sale of their shareholding in Cacanska banka through privatisation, jointly with Republic of Serbia. Providing legal advice to EBRD in relation to the reorganization / bankruptcy of Beohemija d.o.o. Belgrade and its subsidiaries, under the basis of a pre-packed reorganization plan. Legal advisers to EBRD on matters of Serbian law in relation to a € 30 million five-year senior loan to Banca Intesa Belgrade intended for its private SME clients. Advising EBRD on a proposed plan of re-organisation in relation to Dunav Group Agregati. Advising EBRD on a loan to Forma Ideale for capital expenditure. Legal advisers to EBRD on matters of Serbian and English law on a loan / funded participation agreement for the amount of up to € 7 million to Crédit Agricole banka Srbija a.d. Novi Sad. Serbian legal advisers to EBRD on a € 30 million loan facility to Unicredit Bank Serbia for on-lending to their small and medium size enterprise clients in Serbia. Serbian legal adviser to EBRD in relation to a loan to UniCredit Leasing Serbia, a leading leasing provider in Serbia. The Loan will be used for on-lending to local small and medium enterprises to finance the purchase of machinery and equipment. Advising EBRD on a standstill agreement with the Galeb Group and its creditors. English and Serbian legal counsel to EBRD on their € 14.6 Million loan to a Serbian company Embassy Techzones d.o.o to help finance the construction, development and operation of Indjija IT Park, an international standard technology park of 50 hectares located in Serbia. This is the first IT park in Serbia and an important milestone for the country. Advising EBRD on a €2.8 million loan for the construction of a factory to produce pre-stressed concrete rail sleepers – one of the core components of rail tracks. The loan is being extended to a joint-venture company set up by Porr Bau GmbH and Maba Track Solutions GmbH, a specialised producer of pre-stressed concrete sleepers. This is EBRD’s first private sector transaction in Serbia’s transport sector. Advising EBRD and a group of other banks on granting a € 68 million syndicated loan facility to Beohemija – a first syndicated loan facility involving foreign and domestic creditors in Serbia. Advising EBRD on loans to Banca Intesa, Societe Generale and Unicredit Banks under the Western Balkans Private Sector Support Facility for on-lending to increase SME competitiveness. Advising EBRD on an Energy Efficiency credit line and a credit line for Medium Corporate sub-borrowers to Unicredit Bank. Advising EBRD on a further equity investment into Opportunity Banka Novi Sad. Advising EBRD on a secured loan to Nissal, to help finance a project to refinance in part the existing indebtedness of the Company. Advising EBRD on financing to participating banks for financing seasonal working capital needs of agri-business companies in Serbia, so-called warehousing financing to assist the agri-business sector. Advising in relation to equity investment into Cacanska Banka AD Cacak. Advising on a Senior Loan and Equity subscription in Galeb Metal Pack. Advising on a loan facility to Komercijalna banka, Serbia. Advising on a loan to Alas Holding a.d. Novi Sad. Advising EBRD on an equity investment in Forma Ideale, one of the largest furniture producers in Serbia. Advising EBRD on the successful completion of a € 120 million equity investments in Komercijalna Banka, the largest state owned bank in Serbia. Advising EBRD on an equity investment in Prigan Holding d.o.o. Belgrade to help finance the construction, development and operation of an institutional-quality mixed-use real estate complex of ca 25,000 sq.m gross buildable area in the Old Town of Belgrade, Serbia. Advising EBRD on a substantial loan to Klas, the leading bakery company and its subsidiary. Advising EBRD on a secured loan to Greenhouse Telecommunications B.V. (acquisition financing). 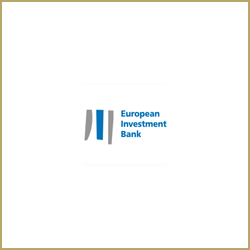 Advising EBRD on a loan facility to Tigar Tehnicka guma d.o.o. Advising EBRD on a secured loan to Media Works and Neobee.net, two of the leading Serbian internet providers. Advising EBRD on leveraged financing and subsequent restructuring of the loan facility to JKR. Advising EBRD in relation to a loan facility to five banks totalling € 60 Million for onward investments in sustainable energy. Advising EBRD on a potential equity investment in paper-producing company, Papirpak. Advising EBRD on various aspects of equity investments in the leading Serbian bank, Komercijalna banka. Representing EBRD on a lending facility and equity investment into JKR Resources Exploitation. Advising EBRD on a further financing of Hemofarm, the leading Serbian pharmaceutical company. Advising EBRD on equity investment into Zdravo. Advising EBRD on a significant investment into Cacanska banka. Acting for EBRD on a loan facility to East Point Holdings. Acting for EBRD on their equity investment in Centrobanka. Acting for EBRD on a loan facility to Delta-Maxi, the leading food retailers in Serbia. The acquisition of Eksimbanka, (the first bank acquisition transaction of its kind in Serbia), for EBRD and its international financial consortium. Acting for EBRD on a secured loan to Hemofarm, the leading pharmaceutical company in Serbia. Acting for EBRD on a secured loan to Tigar, a leading tire manufacturing company in Serbia. Acting for EBRD on a Senior Debt Facility to Eksimbanka. Acting for EBRD on a further subscription for shares in Eksimbanka. Acting for EBRD on an Equity Investment in Volksbanka. Acting for EBRD on a Sub-ordinated Loan Facility to Raiffeisen Bank. Acting for EBRD on a loan facility to Sevojno, a leading Serbian Aluminium Producer. Forming of a new bank in Serbia, Micro-Finance Bank, and obtaining the necessary banking licenses, for the EBRD and its international banking consortium. Acting as Montenegrin law legal adviser to EBRD in relation to transaction under which EBRD became a minority shareholder in Voli d.o.o, a leading Montenegrin retailer. 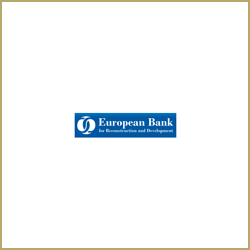 Advising EBRD in relation to their shareholding in NLB Montenegrobanka d.d. English and domestic legal advisers to EBRD in relation to a secured loan of up to EUR 4.2 million to Hydro Bistrica doo. The loan will be used by the borrower to finance development, construction and operation of a small hydro-power plant with an installed capacity of 3.6 MW. Legal advisers on matters of Montenegrin laws in relation to a loan agreement to Goranovic d.o.o. meat industry. Montenegrin legal advisers to EBRD and IFC in relation to the proposed investment to finance the expansion of throughput capacity at the port of Bar, Montenegro in a total amount of up to EUR 31.7 million. The expansion will be carried out by JSC Container Terminal and General Cargo. Legal advisers to EBRD on matters of Montenegrin laws in relation to an amendment agreement to a loan agreement and relevant security package to MPM d.o.o. Montenegrin and English legal advisers to EBRD on a loan to Codra Hospital, a leading private healthcare institution in Montenegro. Advising EBRD in relation to a loan of up to € 2 million to help finance MPM’s project for expansion of its retail network. Advising EBRD on Mediaworks (a leading Internet Provider) and its licence in Montenegro. Advising EBRD on a € 37.3 Million Loan to assist in financing of 3 Major Hotels including Sveti Stefan. Advising EBRD on a loan to help finance a project to modernise the Port of Bar in preparation for privatisation. Advising EBRD on public procurement procedures in Montenegro. Advising EBRD in relation to a loan facility to Mesopromet d.o.o. and Prehrana a.d. Pljevlja, two large food processing factories. Advising EBRD on a secured loan to Voli d.o.o, the largest Montenegrin retail company. Advising EBRD on Permissibility of Equity Investments in Montenegro. Advising on an a loan to a Montenegrin company MPM d.o.o. Acting for EBRD on a loan to Euromarketbanka. Acting for EBRD on a loan to Solana Ulcinj. Representing EBRD on their investment in Progas. Advising EBRD under their WebSEFF II Western Balkans Energy Efficiency Project on a loan to Raiffeisen Bank in Bosnia. Advising EBRD under their WebSEFF II Western Balkans Energy Efficiency Project on a loan to UniCredit Bank d.d. Mostar in Bosnia. Advising EBRD in relation to loan facility to Raiffeisenbank dd Sarajevo for onward investment in sustainable energy. Acting for EBRD on major loans to Telekom Srpske, the national telecommunications company. Acting for EBRD on major loans to Marbo d.o.o. 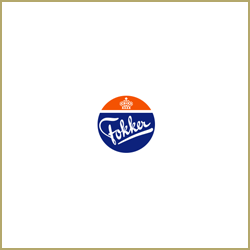 a leading food company in Republika Srpska. Acting for EBRD on loans to municipalities in Macedonia relating to water and wastewater. 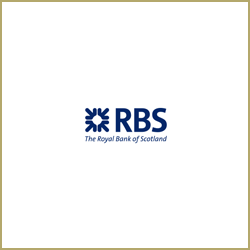 Advising RBS on a secured loan to Media Works, one of the leading internet providers. 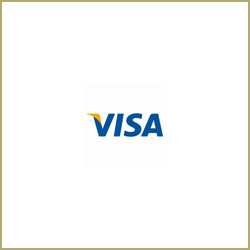 Advising Visa International on banking regulatory issues in Serbia and on aspects relating to their operations in Serbia. Legal advisers to EPS (Elektroprivreda Srbije), the National Electricity Company of Serbia, on matters of English law in relation to a major loan facility from Alpha Bank to EPS. 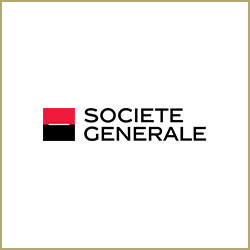 Advising and issuing of legal opinion to Societe Generale Bank and Societe Generale Leasing and in relation to two loan agreements from the European Investment Bank. Advising the EU/European Investment Bank on a major loan to the Republic of Serbia. Advising the European Investment Bank on major macro-economic assistance to Serbia. Representing the European Investment Bank on loans to the Federal Government of Yugoslavia and National Bank of Yugoslavia. Serbian legal advisers to DEG in relation to loan facility to MK Group, one of the leading agribusinesses companies in Southeast Europe which produces sugar, corn and wheat. 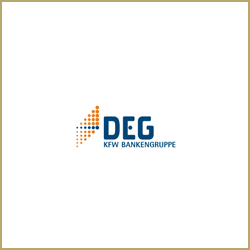 Advising DEG (German Development Bank) on a loan facility to Unicredit Serbia. Advising DEG on the successful completion of a € 120 million equity investments in Komercijalna Banka, the largest state owned bank in Serbia. Advising DEG on the acquisition of shares in 3 leading Serbian bakeries. Advising DEG on a senior loan agreement to Raiffeisen Rent. Advising DEG on a senior loan agreement to Tigar obuca d.o.o. Advising DEG on equity investment into a leading Serbian company. Acting for DEG on a loan to Eksimbanka. Acting for DEG on a loan to Raiffeisen Bank. 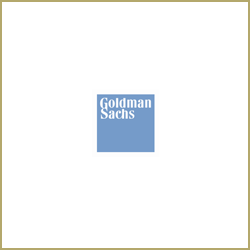 Acting for DEG on a subordinated loan facility to Raiffeisen Bank. Acting for DEG on a loan facility to Raiffeisen Leasing. Legal advisor to DEG Germany in relation to a loan agreement to Euromix Tours doo Petrovac for extension of an existing Hotel, the Riviera located in Petrovac, Montenegro. Acting for DEG on a loan to Crnogorska Komercijalna Banka. Representing DEG on a significant lending facility to a leading Montenegrin Hotel Group. 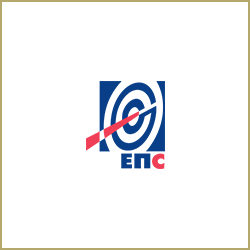 Serbian legal advisers to the Finance parties (as the Initial Purchasers) in connection with the offering by Adria Bidco B.V. (as the Issuer) of €475,000,000 of Senior Secured Notes pursuant to the terms of the Purchase Agreement among, the Issuer and the several Initial Purchasers. 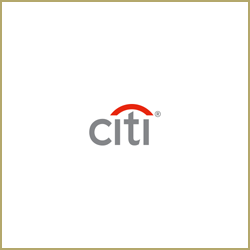 Advising Citigroup on a Receivables Assignment transaction. Advising Citigroup on FX and Money Market Transactions in Serbia. Advising Citgroup on Global Transaction Services. Advising Citigroup on Investment Banking Services. Advising Citigroup on Lending Services. Advising Citigroup NA on a major lending facility to Telekom Srbija. Acting as Serbian law legal advisor to IFC in relation to divestment by IFC of the shareholding it owned in Banca Intesa AD Beograd. Legal counsel in Serbia to IFC with respect to an early stage equity investment IFC is considering in Ivicom Energy d.o.o. to fund development of a 103 MW wind power generation plant in Serbia. Legal advisors to IFC in relation to the provision of funds to the Czech based APS Holding, needed for purchase of distressed asset portfolios, including retail and mortgage loans, as well as loans to small and larger companies. Legal advisors to IFC in relation to equity investment into Cacanska Banka AD Cacak and sale of their shareholding in Cacanska banka through privatisation, jointly with EBRD and Republic of Serbia. Legal advisors to IFC on matters related to English law in relation to a loan to Privredna Banka Zagreb, Croatia. Advising IFC on the successful completion of a € 120 million equity investments in Komercijalna Banka, the largest state owned bank in Serbia, and on the financial restructuring of their investments. 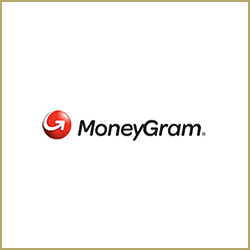 Serbian legal adviser to IFC on a mortgage credit line to be issued to Komercijalna banka. Legal advisers to IFC on matters of Serbian law in relation to € 30 million senior unsecured credit line to Banca Intesa in Serbia, part of which is to be used as SME and part as Agri loan. Acting as Serbian and English Legal Counsel to IFC on a 45 million Euros secured loan to MK Group d.o.o. and Carnex. Acting as Serbian and English Legal Counsel to IFC on a 25 million Euros secured loan to MK Group d.o.o. Advising IFC on a € 70 Million credit line to Societe Generale Banka Srbija to support the Bank’s on-lending to agribusiness enterprises. Legal advisors to IFC in relation to a loan to Vino Zupa, the leading beverage producer in Serbia, as well as restructuring of the said loan in pre-packed plan bankruptcy proceeding. Advising IFC on a €50 million subordinated loan to Komercijalna Banka ad Beograd to encourage further growth of the bank, strengthen the overall banking sector in Serbia, and boosting the economy. This loan is part of IFC’s strategy to support systemic banks in the region and encourage economic growth in the Western Balkans. 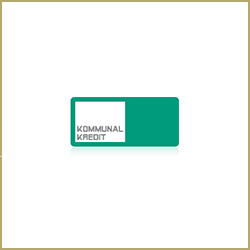 Komercijalna Banka is the largest State Owned Bank in Serbia. Acting as Serbian law legal advisor to IFC in relation to its investment in the form of an equity stake in Titan Cement Cyprus Limited and indirectly Titan Cementara Kosjeric. Advising IFC on a loan to Cacanska Banka. Advising IFC on a loan to PMC Automotive doo for investment into a greenfield metal stamping factory. The factory will be located in Grosnica, a supplier park dedicated to FIAT’s new plant in Kragujevac. Advising IFC on a loan to the City of Novi Sad to finance two priority infrastructure projects. 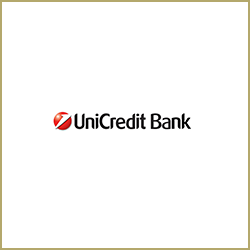 Advising IFC on a €55 Million loan to UniCredit Banka for agriculture and mortgage lending. Advising IFC on acquisition of shares in the National Bank of Greece. Advising IFC on a senior loan to the Serbian municipality of Indjija. Advising on a loan agreement to ProCredit Bank. Advising IFC in relation to trade finance guarantee facility to banks. Representing IFC on secured loans to Frikom and on amended and restated loan agreement to Frikom. Advising IFC on Sub-National Finance – opportunities for IFC investment in Sub-Soveregin Entities in Serbia and on opportunities for financing of certain operations in Serbian municipalities. Advising IFC on an equity investment, and a lending facility into a leading Serbian bank – Continental banka. Advising IFC on a non-committed trade finance guaranteed facility to certain Issuing Banks in Serbia. Montenegrin Legal advisers to IFC in relation to settlement of the outstanding amount under the loan provided to GintasMont (Turkey). Advising IFC in relation to a loan facility to the city of Podgorica. Advising IFC on financing of municipalities. Advising IFC on a loan to GintasMont regarding development of a new shopping mall in Podgorica, the Mall of Montenegro. Advising IFC on a loan to NLB Montenegrobank. Advising IFC on a loan to Nova Banka, Banja Luka. Advising IFC on a loan to Nova Banka, Bijeljina. Advising IFC on an income participation loan to the Cimos Group related to their operations in Bosnia. Serbian legal advisors to Credit Suisse on second tender for public procurement for a financial service – a loan from a business/commercial bank for the needs of maintenance of current liquidity of Srbijagas. Advising Credit Suisse on Public Procurement Procedures. Advising Credit Suisse in relation to a € 100,000,000 loan facility to Montenegro as borrower with the International Bank for Reconstruction and Development as partial guarantor. Representing Credit Suisse on a € 75 million loan facility to the Republic of Montenegro. Advising on redenomination and conversion of a loan granted to Montenegro (Ministry of Finance). 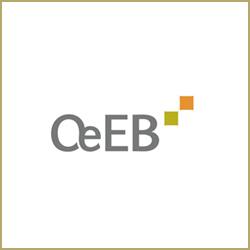 Serbian legal advisers OeEB in relation to loan facility to MK Group, one of the leading agribusinesses companies in Southeast Europe which produces sugar, corn and wheat. Serbian Legal adviser to Goldman Sachs on the proposed financing of the acquisition of a majority stake in Telekom Srbija. 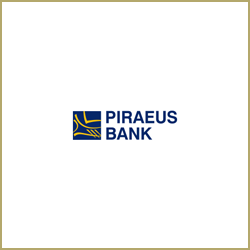 Advising Piraeus Bank on bank lending regulations in Serbia. 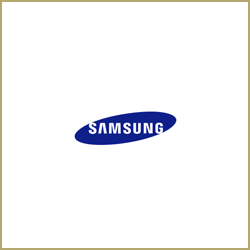 Advising Samsung Electronics in relation to collection under a bank guarantee. Acting for ING Bank on a Facility Agreement with Mercator. Acting for ING Bank on a Facility Agreement with Unilever. Advising OTP Bank (Serbia and Hungary) on matters of Serbian law in relation to loan facility to Elixir Zorka – Mineralna Đubriva doo Šabac. Advising OTP on the financing of the Plaza shopping mall in Kragujevac. Advising OTP on credit facility agreement to Vektra Montenegro. 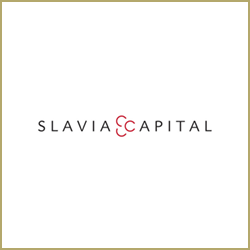 Representing Slavia Capital (Czech Republic) on the purchase of the first ever non-performing loan portfolio in Serbia. 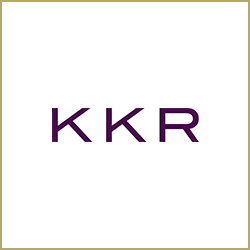 Advising KKR Capital Markets Limited as one of the Finance parties (as the Initial Purchasers) in connection with the offering by Adria Bidco B.V. (as the Issuer) of €475,000,000 of Senior Secured Notes pursuant to the terms of the Purchase Agreement among, the Issuer and the several Initial Purchasers. Advising Deutsche Bank AG (New York) on FX4Cash Project in Serbia. Acting for Deutsche Bank on the purchase of high value debts of leading Serbian companies and the purchase of international receivables of Serbian companies. 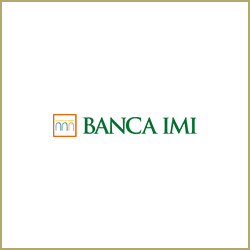 Advising Banca IMI, the investment bank of the Intesa Sanpaolo Group, as one of the Finance parties (as the Initial Purchasers) in connection with the offering by Adria Bidco B.V. (as the Issuer) of €475,000,000 of Senior Secured Notes pursuant to the terms of the Purchase Agreement among, the Issuer and the several Initial Purchasers. 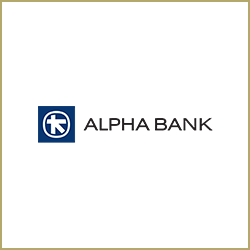 Advising Alpha Bank on refinancing of a substantial loan facility to Telekom Srbija. 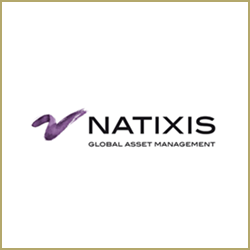 Advising Natixis Factor on Factoring in Serbia. 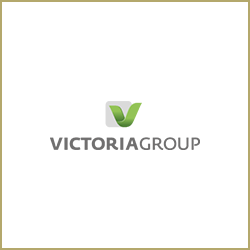 Advising Victoria Group in relation to an investment by EBRD in the company by way of capital increase. Advising Victoria Group on the sale of capital to a new shareholder. Advising Swedfund on the successful completion of a € 120 million equity investments in Komercijalna Banka, the largest state owned bank in Serbia. 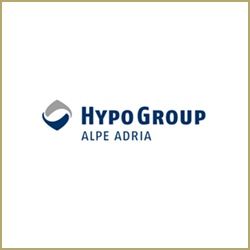 Advising Hypo Alpe Adria Bank on a large non-performing loan involving international litigation. Advising Hypo Alpe-Adria-Bank on large debt related issues. 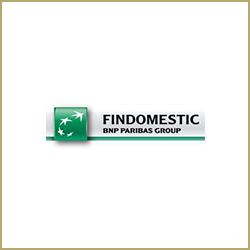 Serbian legal advisers BNP Paribas Fortis S.A. /N.V. and London Branch as one of the Finance parties (as the Initial Purchasers) in connection with the offering by Adria Bidco B.V. (as the Issuer) of €475,000,000 of Senior Secured Notes pursuant to the terms of the Purchase Agreement among, the Issuer and the several Initial Purchasers. Acting for Raiffeisen Leasing on a loan facility from the European Investment Bank. Acting for Raiffeisen Rent on a Credit Agreement with LRP Landesbank Rheinland-Pfalz. 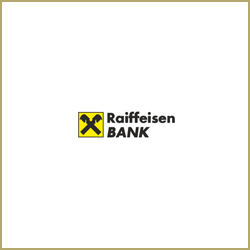 Serbian legal advisers to Raiffeisen Bank, as one of the Finance parties (as the Initial Purchasers) in connection with the offering by Adria Bidco B.V. (as the Issuer) of €475,000,000 of Senior Secured Notes pursuant to the terms of the Purchase Agreement among, the Issuer and the several Initial Purchasers. Advising EFSE in relation to Framework Agreement for the granting of individual loans between The European Fund for Southeast Europe S.A., SICAV-SIF as the fund and Opportunity Banka A.D. Novi Sad. Advising EFSE on actions in relation to its sub-ordinated loan to PBB Bank in Serbia. Advising EFSE on a subordinated loan to Cacanska banka a.d Serbia. Legal counsel to EFSE in relation to a € 23 million loan facility to Komercijalna banka, Serbia. Advising EFSE on a loan to Raiffeisen Bank. Advising EFSE on a loan to Cacanska Banka. 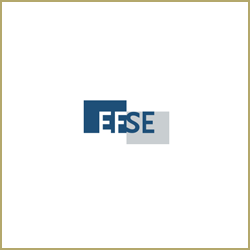 Advising EFSE on a Sub-ordinated loan to Privredna Bank. Advising EFSE on a loan to Banca Intesa. Montenegrin legal counsel to EFSE in relation to a senior unsecured loan to Societe General Banka Montenegro A.D.
Legal counsel to EFSE in relation to a loan facility to Alter Modus. Advising EFSE on a Pledge Agreement with Hipotekarna Banka. Advising EFSE in relation to Senior Loan Agreements and Deposit Agreements in Montenegro. Advising European Fund for Southeast Europe (EFSE) on banking related matters in Montenegro. 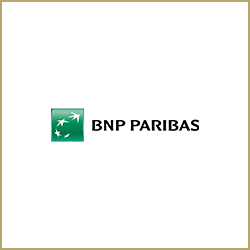 Serbian legal advisers to Findomestic Bank, part of BNP Paribas Group, as one of the Finance parties (as the Initial Purchasers) in connection with the offering by Adria Bidco B.V. (as the Issuer) of €475,000,000 of Senior Secured Notes pursuant to the terms of the Purchase Agreement among, the Issuer and the several Initial Purchasers. Serbian legal advisers to UniCredit Bank, as one of the Finance parties (as the Initial Purchasers) in connection with the offering by Adria Bidco B.V. (as the Issuer) of €475,000,000 of Senior Secured Notes pursuant to the terms of the Purchase Agreement among, the Issuer and the several Initial Purchasers. 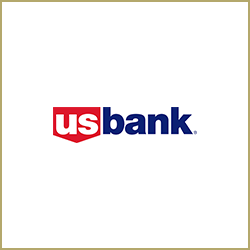 Serbian legal advisers to U.S. Bank Trustees Limited, as one of the Finance parties (as the Initial Purchasers) in connection with the offering by Adria Bidco B.V. (as the Issuer) of €475,000,000 of Senior Secured Notes pursuant to the terms of the Purchase Agreement among, the Issuer and the several Initial Purchasers. Advising Global Gold Colony on a loan agreement with EFG Eurobank. 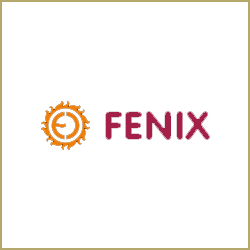 Advising Fenix (Czech) on the acquisition of certain debts in Serbia. 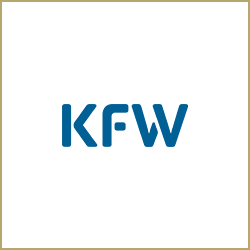 Advising KfW on a loan to Raiffeisen Bank. Serbian legal advisers to FMO in relation to loan facility to MK Group, one of the leading agribusinesses companies in Southeast Europe which produces sugar, corn and wheat. Serbian legal adviser to FMO on a € 20 million loan facility to Komercijalna bank. 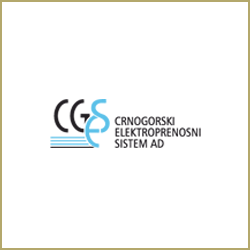 The loan would be used for on-lending to Eligible Sub-Borrowers – Micro, Small and Medium Enterprises in the Republic of Serbia. 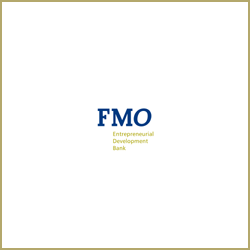 Advising FMO on a major lending facility to Pro-Credit Bank. 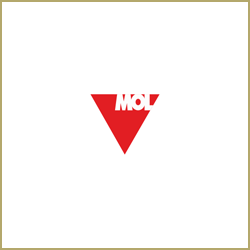 Advising MOL (Hungary) on banking operations in Serbia. 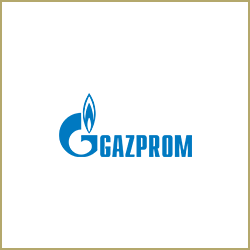 Securitization of a Contract for Gazprom subsidiary totalling $65million to HIP Petrohemija. Legal services in relation to the start up of automotive financial services in Serbia. 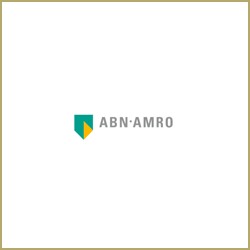 Securitizing loans for ABN AMRO relating to leased airplanes of Montenegro Airlines. 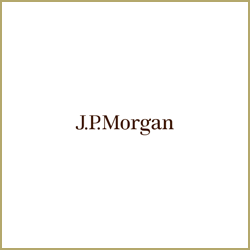 Advising J P Morgan on procurement laws in Montenegro. Montenegrin and English legal advisers to CGES on a € 25 million loan facility from KfW covered by a Sovereign Guarantee. Montenegrin and English legal advisers to CGES on two loans provided by EBRD, one sovereign guaranteed loan and one corporate loan. Acting for Fokker on a loan facility to Montenegro Airlines. 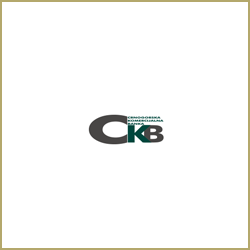 Advising CKB on obtaining documentation in Serbia. Advising on potential acquisition of receivables an Austrian company has against Montenegro. Advising on various financial matters in Montenegro. 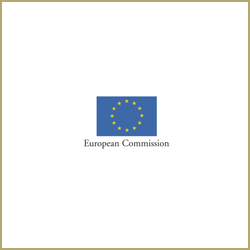 Advising European Commission in Montenegro in relation to a Loan Agreement for Macro-Financial Assistance to Montenegro. Advising Euromix on a DEG loan in relation to a Hotel in Montenegro. Advising Poteza (Slovenia) on a proposed subordinated loan with Nova Banka, Bijeljina.